Building strategy around personality types has become a driving force for many of the most successful companies in the world. In fact, approximately 80% of Fortune 100 organisations use some kind of personality test to facilitate better teamwork in their organisations. 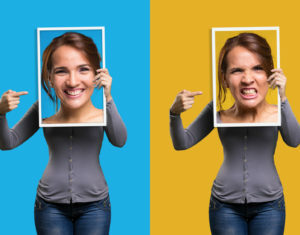 As a sales manager, you may think these techniques only benefit those at the executive level or human resources professionals, but learning more about the unique personality types of your sales reps can help you take your team’s performance to a new level. Whether you choose to use the 16 Myers-Briggs personality types, subscribe to the five-factor model, or adhere to Deloitte’s Business Chemistry which identifies four distinct office personas, the key is to dedicate yourself to learning a system and consistently applying their lessons in your interactions. Creating a robust and innovative sales training program is paramount to the success of any organisation. One study found that for every dollar invested in sales training, a company will generate a return of $29 in revenue. However, people respond very differently to different methods of training depending largely upon their personality types. It’s clear a one-size-fits-all development initiative won’t provide optimal results for all of your employees. Understanding which personality categories your sales reps fit into will allow you to create customized training programs that capitalize on their specific strengths. This will help you and your company get as much value as possible from your investment in sales training. Creating training programs that are optimized for specific personality types doesn’t only directly impact how much your sales representatives are able to understand and retain. It’s also useful for their ability to take the attributes of your product and present them appropriately depending upon a client’s personality category. In the heat of the moment of a sales conversation, your reps will constantly be forced to react to things a prospect says or does, even if it’s as subtle as a change in body language. When you have thorough knowledge of how various personality traits manifest themselves in conversations, you can teach your employees to recognize these traits as well. Armed with this knowledge, they’ll be confident in sales calls that they can help clients better understand why your product is a good fit for them. Day-to-day sales activities may largely be completed by front line representatives, but they are far from the only force in shaping the overall sales strategy of the company. As a sales leader, you have a significant role in deciding how your team members will best communicate your value proposition to prospects. The journey to creating a customized sales plan that speaks to what individual customers need, and communicates it in a language they understand, begins with you. But, to achieve that, you have to understand specifically what your customers need and what they understand. Personality types aren’t only useful when looking down the organizational chart—you can also use them to better understand your superiors and work more effectively with them for the benefit of the entire organization. The success of your sales unit will largely depend on your ability to communicate and negotiate with the directors and C-level executives who may be above you. Just like your sales reps, they too exhibit specific character traits based on their personality types, and knowing this can help you better relate to them. Finally, sales managers who have studied various personality types should view the experience as an opportunity to learn more about their own strengths and weaknesses in the workplace. It’s a perfect opening for self-improvement, because we tend to immediately recognize when a personality profile says something about us that rings true. If you recognize you have trouble thinking outside the box for a solution, then you can solicit help from those around you who tend to do the opposite. Or, if you discover you lean toward micromanaging, you can make a commitment to giving more autonomy to your employees who would benefit from it. Hello, Neat post. There’s a concern together with the site of yours in internet explorer, may try this IE nonetheless may be the industry chief along with a big section of folks will pass over your fantastic writing as a result of this issue.